Over 31,000 troops from 24 countries are taking part in NATO’s Anaconda 2016 war drills in Poland – the largest war games in eastern Europe since the Cold War. Moscow says that the NATO military presence is unjustified. The Anaconda 2016 NATO military exercise involve 24 NATO and “partner nations,” including the US, the UK, Germany, Canada, Spain, Sweden, Turkey and others. US Army Europe, which heads the exercise, says that the massive war games are “to train, exercise and integrate Polish national command and force structures into an allied, joint, multinational environment.” Anaconda 2016 will be formally closed by officials at a ceremony in Warsaw on June 17. — 5th Signal Command (@5SigCmd) 6 июня 2016 г.
Anaconda 2016 also comes ahead of an upcoming NATO Warsaw summit, expected to decide that significant numbers of NATO troops and equipment will be based in Poland and in the Baltic states, where the bloc is holding major sea drills, the BALTOPS, which kicked off on Friday in Estonia. While the West claims that the string of recent military drills is to assure eastern Europe of NATO’s full commitment to defending them against Russia, Moscow maintains it has no plans at all to interfere with any country in the region. However, NATO’s leadership has already said there will be no changes to stationing more troops in Poland after the Warsaw Summit, sending “a clear signal that an attack on Poland will be considered an attack on the whole Alliance,” the bloc’s Secretary General, Jens Stoltenberg told reporters following his meeting with Polish President Andrzej Duda last Wednesday. “If you listen [to them], you might get a feeling that NATO is a harmless sheep cornered by ‘predators’ such as Russia and other countries disobedient to the US,” spokesman for Russian Defense Ministry Igor Konashenkov mockingly commented on Monday. 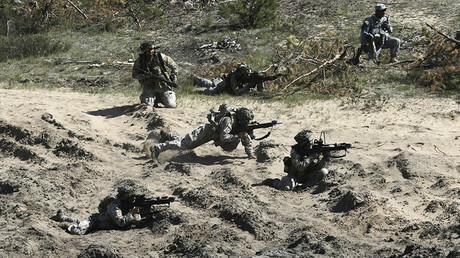 NATO currently plans to station four battalions in the region – one each in Poland, Lithuania, Estonia, and Latvia. A typical US army battalion consists of up to 800 soldiers. The bloc also plans to set up several headquarters and command and control infrastructures, as well as weapons and ammunition depots in the region. 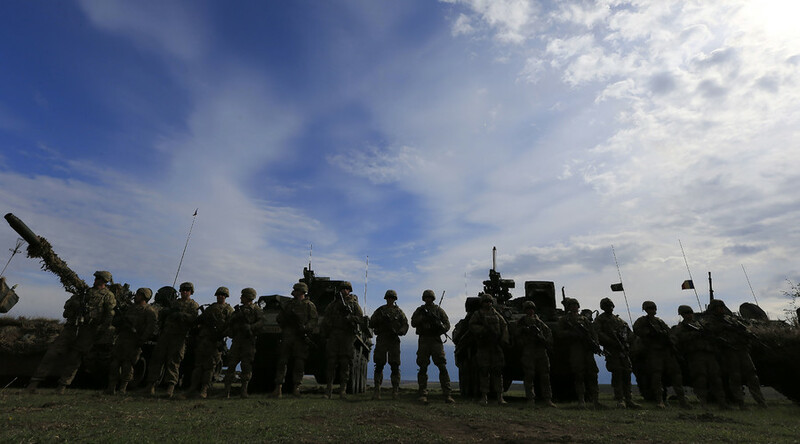 NATO has launched a massive military build-up in the Baltic states and eastern Europe, citing what it calls Russian aggression in the region. In May of last year, NATO Secretary General Jens Stoltenberg announced that the bloc was planning to deploy new command units in Latvia, Lithuania, Estonia and Poland, as well as Bulgaria and Romania. Moscow, in turn, sees NATO’s drive eastwards as aggressive and in violation of post-Cold War agreements.